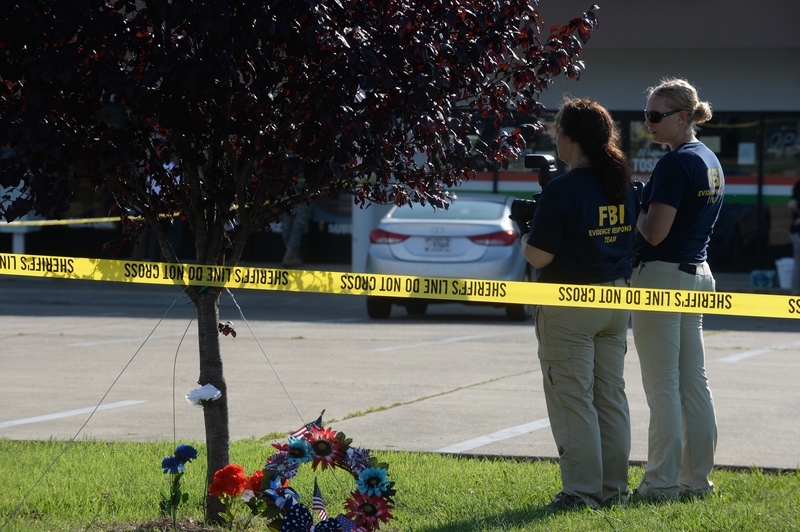 Details continue to emerge following the tragic shooting in Chattanooga on Thursday. Four Marines were killed and three others were injured after Muhammad Youssef Abdulazeez allegedly began shooting at a recruitment center, then drove to a Naval support center and reportedly opened fire there. The first victim has been identified as Thomas Sullivan, a decorated Marine Corps veteran who had served two tours of duty in Iraq. Another fallen Marine has now been named who had only just started his military career. So, who was Skip Wells, the second Chattanooga victim? Wells was originally from Marietta, Georgia and had enlisted in the Marines fairly recently. According to Atlanta CBS affiliate WGCL, Wells was serving as a Marine after just finishing boot camp. The station cites a family friend that says the slain Marine "felt called to serve." He had previously been attending Georgia Southern University, where he was studying history, according to Wells' personal Facebook profile. The photos that are publicly available on that Facebook profile depict Wells and his fellow corpsmen as they were deployed. Additional information from Atlanta radio station News Radio 106.7 states that Wells had taken an interest in the military long before he'd enlisted and was an active member of the ROTC at Sprayberry High School in Marietta, where he had graduated in 2012. His Instagram profile contains few photos but all of them appear to reference his military career. Messages have appeared on two of Wells' Instagram photos — one depicting MREs or meals ready to eat and another showing Wells himself. Both have "RIP" messages left in their comments. There have been no details released regarding funeral arrangements as of this writing, nor have additional victims been named. Abdulazeez was among those who lost their lives on Thursday, though it is unclear as to whether he was shot by law enforcement or whether he shot himself. There are currently no known motives for the shootings, though the incidents have been classified as an act of domestic terrorism.